Born and raised in Redbridge, mother of two Katie Bracher turned her love for photography and videography into a business. She came to London Small Business Centre after having won a competition in Redbridge and received free business support from London Small Business Centre and London South Bank University’s Investment Escalator programme. She’s the founder of Beitak Productions, a specialist Media Production company providing photography and video services to a range of clients in the Public Health and International Development markets. 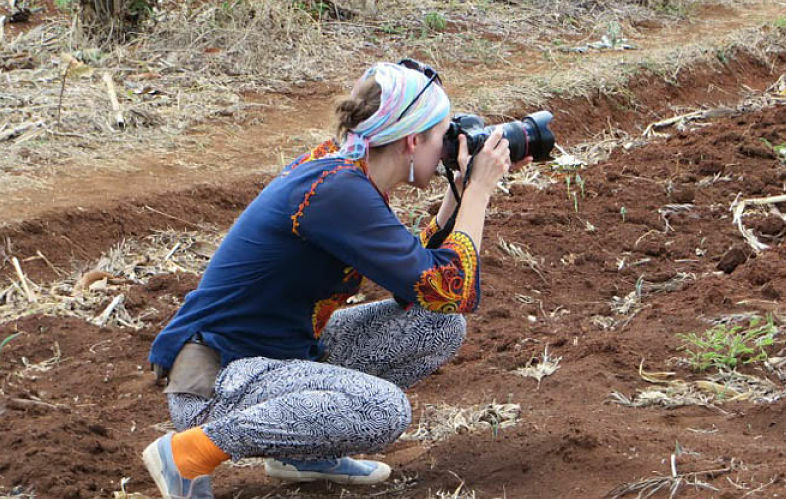 From Redbridge to Uganda, Katie’s Beitak Productions was established with the aim of bringing compelling stories into people’s hearts and minds, visualisng in a professional manner feelings, challenges, achievements and ideas. Tell us more about what motivated you to start your business? It was through studying Photography at Barking and Dagenham College. I then spent a few years building my portfolio and contacts. I chose to start my own business because the autonomy and challenge appealed to me. I also like having flexibility for organising my life. I knew I was ready to take the business to the next stage and found London Small Business Centre through a networking event in Redbridge. I won a competition ‘Redbridge Business Star.’ The timing was perfect! Lana Hersak is my adviser, she helped me plan and deliver a business growth plan enabling me to get my head around the various tasks that needed completing. She is level-headed, knowledgeable and kept me on track and on deadline! London Small Business Centre were friendly and offered to-the-point advice and information, in a good location too. I was lucky enough to receive an open ended package of support. I hope to grow with them into the future. It’s an easy entry sector (everyone can make a video) but it’s building a network of trusting clients that takes time. I persevered and took opportunities that arose, which enabled me to gain larger scale projects. What have been the rewards and your favourite projects? Getting to work on projects that I am passionate about and build a business around what I like to do creatively. I loved working with young people to create public health campaigns, and travelling to Africa to shoot video documentaries was fascinating. What advice would you give to someone who has started a business? Try and put in place strict working hours and stick to them! It helps with keeping a good work/life balance!